This ministry is made up of a few people who take pictures, write and post calendar items, photos and news stories relating to our church and maintain and operate our facebook page and our web site. The Mount Olive web site is entirely maintained and operated by volunteers. The underlying software used to create the web site is Word Press, a public domain program used by many web sites. Word Press lends itself to being used by an organization such as a church because it allows for a number of people to post articles with news or updates with only a little training. On top of Word Press the site uses a Theme, Wise Church to create its main features, appearance and arrangement. The Mount Olive Lutheran Church website is viewed by people all over the world, so even though the main focus is local, we should never underestimate how God might use our messages to further the Good News of the Gospel. Increasingly, if any church does not have a decent website they’re missing an opportunity to reach and invite a lot of people who might otherwise have joined the church or at least visited. Most people under the age of 40 (or is it under 70? ), when they check out churches, do most such investigation online. 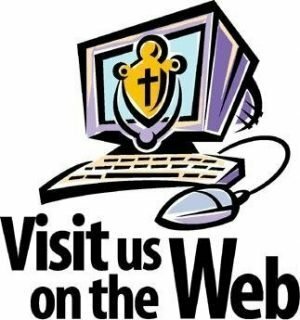 Visitors at our church have often already been to our website. (When my wife and I spend time out of state we find a church to attend by using our smart phone to find a church’s website, if it’s not nice–no visit.) Having a quality website is not about being hip or “with it.” It’s one of the basic aspects of being inviting, hospitable and welcoming. Our online presence is their first impression. New visitors are coming to church nowadays because they found the congregation online first, usually at the website or facebook page. Our website is the online front door to the church for many, many people. We put greeters at the front door of our physical church, and line up ushers in the sanctuary, and set up displays in the Narthex, and make sure the facilities are attractive and comfortable. The church website must receive the same type of diligent care to attract new and returning guests. The website is the only online platform we actually control. 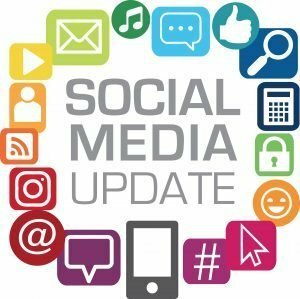 Social media is a key part of any communications strategy, but we have no say on the changes they make or how they operate. Just look at Facebook over the past several years. Changes to algorithms and business models have made it tougher to reach your users unless you spend lots of money to pay Facebook to reach even those who already follow you. With our website, we’re in charge of the content and we can direct people interested to view it. The website can serve as a quick source of critical information about meetings and events. Have you ever listened to someone announce an upcoming event during the church service and then forgotten some of the important details like the time or day? A website benefits members by providing a place to find information that they may have missed or just not remember. Information about our church and its ministries is of interest to the entire congregation and getting that information out is vital to successful activities and to recruiting new members. Contributors to Website help Create An Online Community. Our church website allows the feeling of community to continue when people are not in church. Our website is never going to replace to the face-to-face interactions that fellowship provides, however, it can be a starting point for attracting new visitors, engaging current members and catching the attention of Christians who have just moved into the Yakima area. Reporters -to write and post brief news articles about past events or inviting notices about future activities. Many types of writing are helpful, especially the kind that grab your attention regarding visiting or finding out more about our church. Photographers -to take photos of church activities and post them to facebook or to the website. Website technicians -maintain, update and improve the site. People from every ministry and group in our church are needed to share stories and pictures of their ministry’s activities. The highest quality news articles are those written by people who are involved. If two people in a ministry would partner, one could take pictures and the other write a few paragraphs for the website. People not necessarily involved with another particular ministry (other than the website) who are willing to attend events and/or interview organizers to share information with the congregation, helping to build up the quality of the website’s content by reporting on upcoming events and activities and by telling the whole church family the story about what happened at an activity or event.